Train with us, elevate your game, and learn how to Be Your Best You both on and off the pitch. We partner with clubs all over the country to put on fun and inspiring events! Ages 7-18, girls and boys are welcome at all of our training clinics. Keep your eyes peeled for the next clinics! WHAT IS A RAPINOE SC PERFORMANCE & SOCCER TRAINING CLINIC? It’s simple, FUN! Our training clinics are one day events that incorporate both soccer skills and performance skills; strength, power and speed work. We teach players across the country fundamental skills to empower their game. But more importantly, we strive to instill our message of BEING YOUR BEST YOU to everyone we meet and train. BE YOUR BEST YOU 2X! INTRODUCING, our ‘twinning is winning’ tee. Showing the best version of yourself to the world is bold. If only we all have the strength to do this. Why is it that a lot of us aren’t able to show our truest selves to the people around us? Because, it’s really hard. You know what we say to things that are hard? Today is the start of anything– it’s YOUR day to be YOU. That is easier said than done, we know, but that doesn’t mean it can’t be done. Don’t forget, there is only one of you out there. Which means, your gift to the world is you. 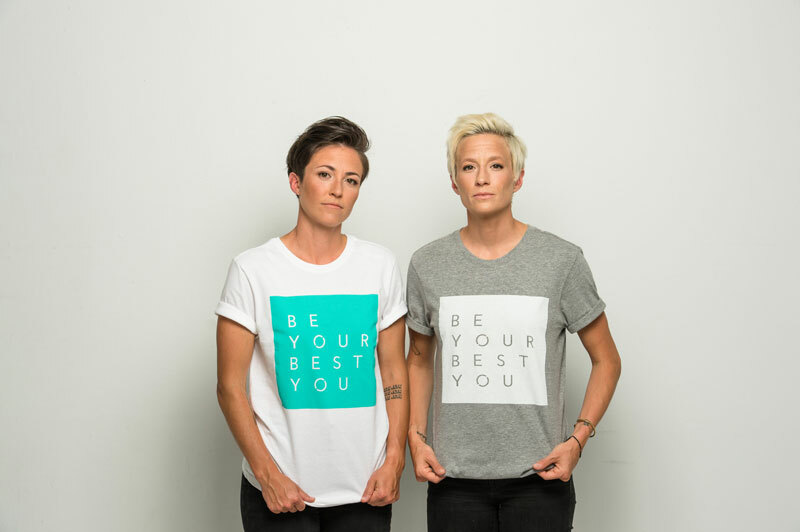 Exclusive updates on event details and rad Rapinoe apparel. Boom. We think you’ll quite enjoy our refreshing take on soccer, training and life. No spam, ever. Just Rapinoe. That’s our promise. WORK HARD. DREAM BIG. HAVE FUN.